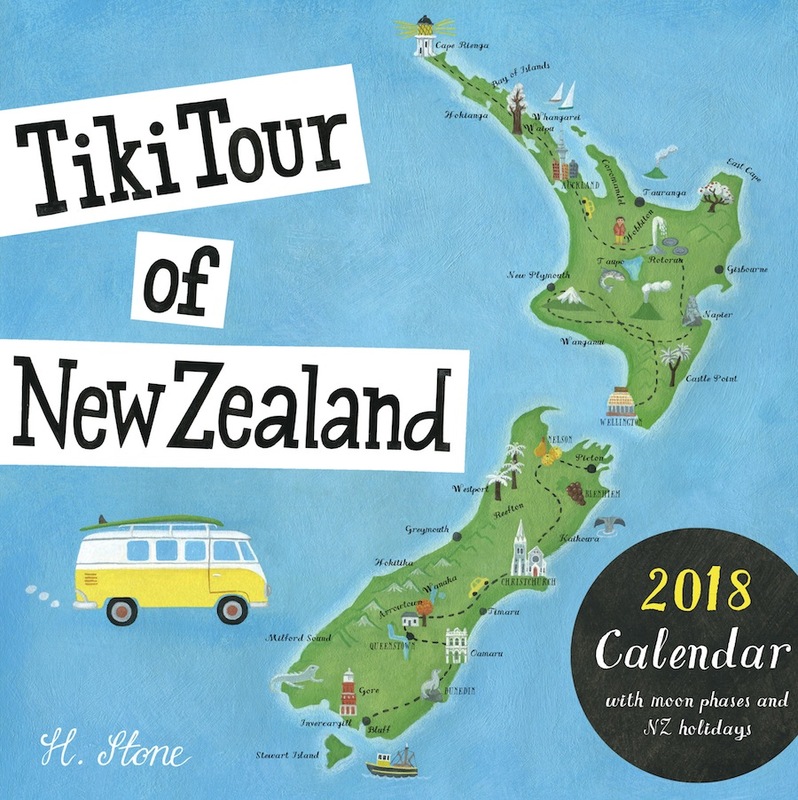 Live Wires NZ Ltd have published our 2018 ‘Tiki Tour’ Wolfkamp & Stone calendar. 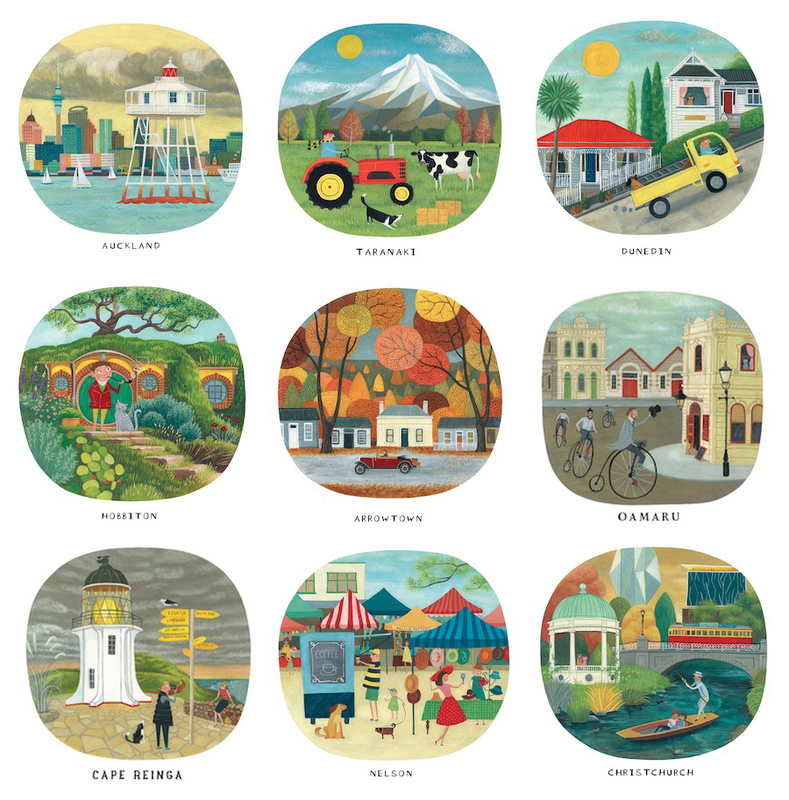 Each month features a quirky, cheerful painting by Henri Stone of New Zealand’s favourite destinations, from Cape Reinga to Bluff. Each 30 x 30 cm page has an original image and title and the generous 30 x 30 cm date grid page below (lots of room for making notes) has an info paragraph about the town, NZ holidays and moon phases. Printed on satin finish paper. Ten paintings from the series have also been printed as square folded cards. We have sold six of the paintings (gouache on paper, image approx 26 cm wide) but Cape Reinga, Hobbiton, Nelson, Christchurch and Oamaru are still available. We can also supply quality art prints of any of them on request. Contact us for original art and prints and Live Wires NZ Ltd to find a calendar or card stockist near you or to ask about wholesale orders.